Plast-O-Fine Industries is a decade old, manufacturing and a trading company, primarily engaged in recycling of polymers and plastics. 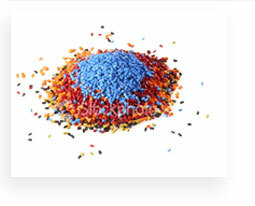 We manufacture raw materials of plastics such as LDPE/LLDPE, HDPE, Poly propylene etc. via recycling of respective scraps. We also manufacture various types of Plastic Compounds as well as articles such as HDPE Barrels (FOT) upto75 lts capacity. Our main products are LDPE/LLDPE Agglomerates & Granules, for film extrusion grade, Rotomoulding and injection grade in natural, white & various seperate colours. The quality of our reprocessed material is guaranteed. 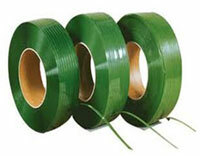 We Manufacture Polyester (PET ) strap of International Strandards from suitable Raw material for use in packaging of bales, wooden boxes, cartons, Metal sheets, etc. We have in-house R&D Facilities and are committed to continuous development of better products for packaging needs. Quality of Pet strapping shall meet International standard and Test report shall be made available for Specs for the supplied product.